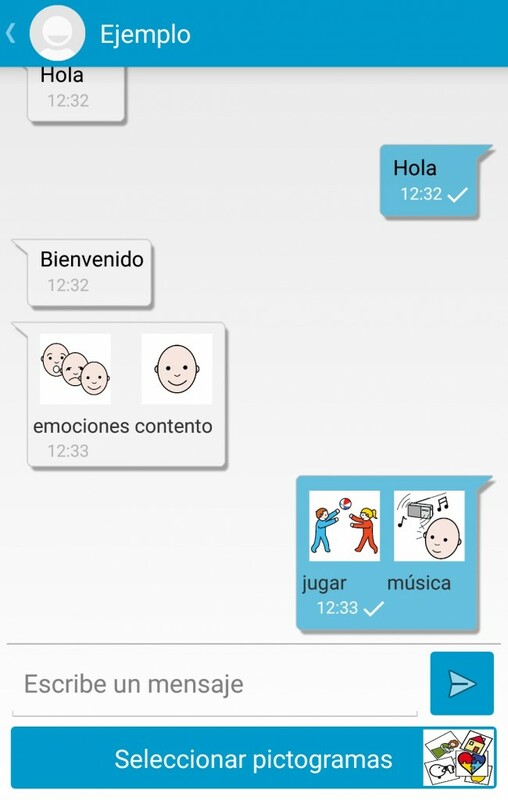 PictoTalk is an instant messaging application based on pictograms. It allows communication by using Picts (signs that schematically represent a symbol, real object or figure) as well as text. So far our communication boards needed the presence of the person you wanted to communicate with, so he/she could hear the message. 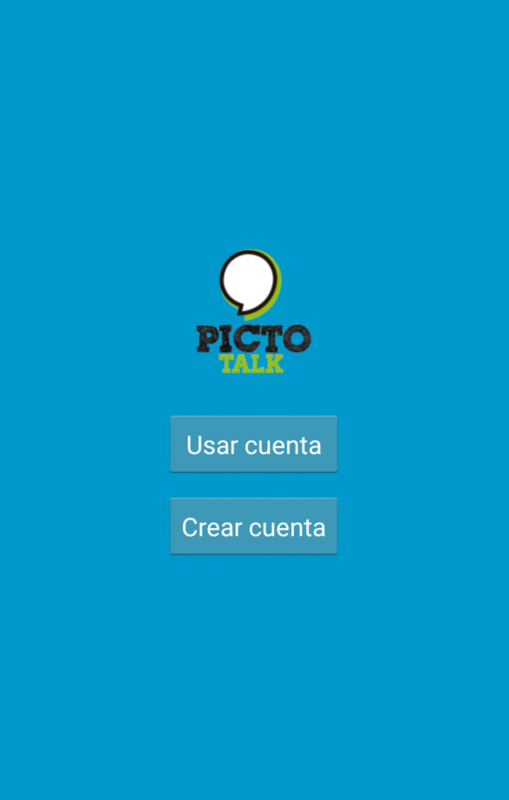 Thanks to PictoTalk we take a step further! 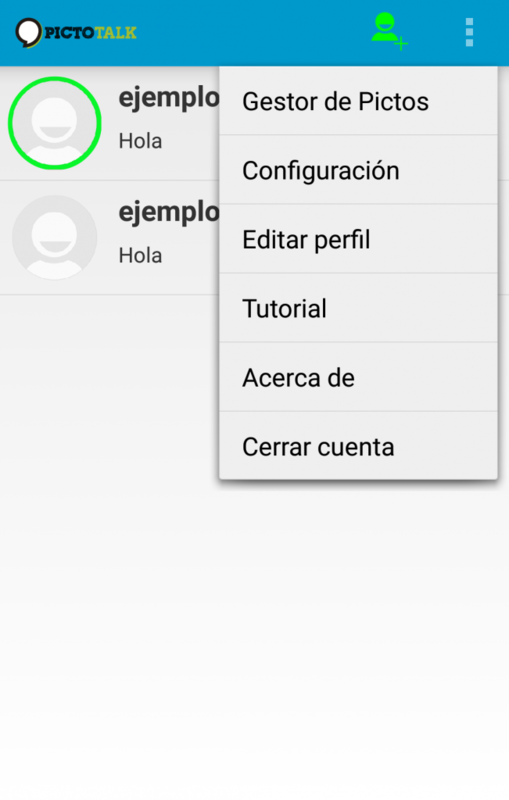 By sending the pictograms using Internet, this application allows a person to communicate, using an Android phone or tablet, with anyone in the world by means of pictograms. It is available in Spanish, English, German, French and Italian. For communication, it is necessary to choose our own user name, and add the person we want to communicate with by using their username. From that moment them both can communicate using Picts or text. 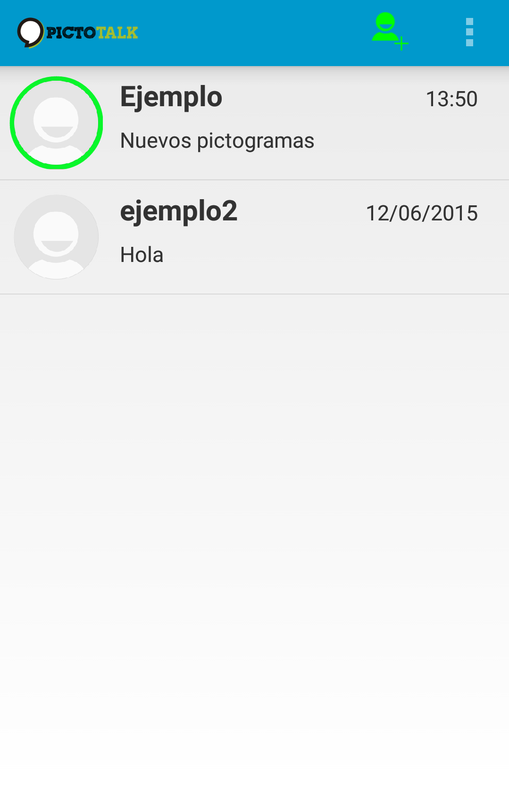 The application allows to listen to the Picts and texts, both sent as well as received. PictoTalk is highly configurable. 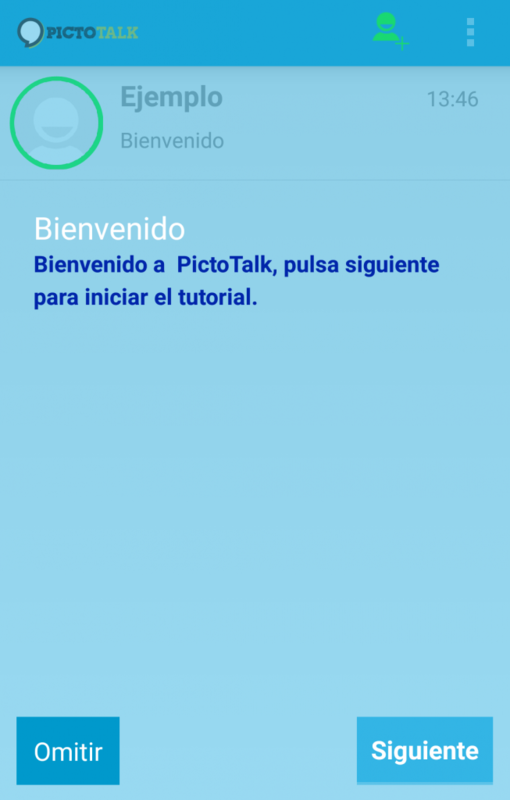 For the selection of the Picts used to communicate it uses PictoDroid Lite v3.0, so it is very easy to modify the board: adding, deleting, changing, renaming… Picts. It is also possible to configure it to use other Picts and even real images. PictoTalk does not encrypt messages, so it is advisable not to send sensible data such as passwords and credit card numbers. In PictoTalk there cannot be two users with the same name, if you try to pick a name that is already selected, it is not permitted. If you need to delete an account, please contact us via email. You can try PictoTalk by adding the “accegalresponde” account. This account will not answer questions, just simply answer random pictograms and text as an example and it will disappear in a few days. PictoTalk may not work in some corporate WiFi networks (companies, administrations, universities, etc.). For security reasons these networks do not allow access to certain Internet addresses, due to this PictoTalk will not work on these networks despite not being a harmful application. 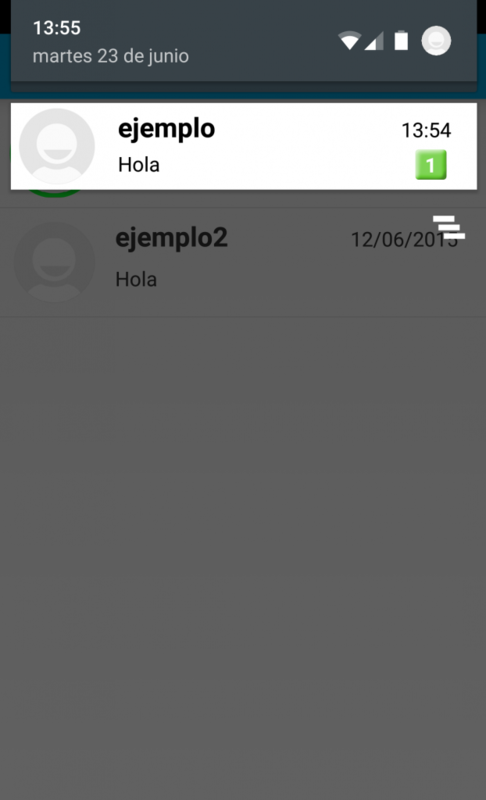 Try using the application with your mobile data connection or with another WiFi. ARASAAC (http://arasaac.org) for the use of their Picts, created by Sergio Palao and distributed with Creative Commons license (BY-NC-SA). Joaquín Ignacio Pelaez Santana, graphic designer from the city of Santiago de Chile, in charge of Art Direction, who has done PictoTalk corporate image. Igniterealtime (http://www.igniterealtime.org) for using the Smack library and the Openfire server, free software licensed under Apache 2.0 (http://www.apache.org/licenses/LICENSE-2.0). Android Universal Image Loader (https://github.com/nostra13/Android-Universal-Image-Loader) for the use of the library for image loading, free software licensed under Apache 2.0 (http://www.apache.org/licenses/LICENSE-2.0). Showcase View (https://github.com/amlcurran/ShowcaseView) for the use of the library for creating tutorials, free software licensed under Apache 2.0 (http://www.apache.org/licenses/LICENSE-2.0).